Masao Nakasone, a voice actor was chosen as Ultraman(voice), but on the day of recording, he accidentally couldn’t show up on time because he was late for the recording for episode one. So someone had to do Ultraman’s voice. 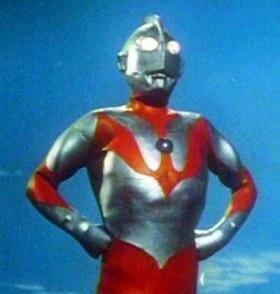 Hajime Tsuburaya tried acting Ultraman at first, but it wasn’t good. Consequently Hisashi Kondo, the recording engineer read the lines in episode one. Later he played Ultraman (voice) in the final episode. Rumor has it that Masao Nakasone was scolded by Mr.Tsuburaya harshly later. He consequently missed the chance to act Ultraman’s ‘speaking’ but he could still have chance to act this gigantic hero’s shouting ‘Schwatch!!’. To get a good reverb, he even put his head into the piano. Thanks to his unusually effort, the world-wide well-known roar, ‘Schwatch! !’ was created.